Remks:Stunning And Unique Full 2 Storey Loft (10 Foot Ceilings) With High End Custom Finishes Throughout. 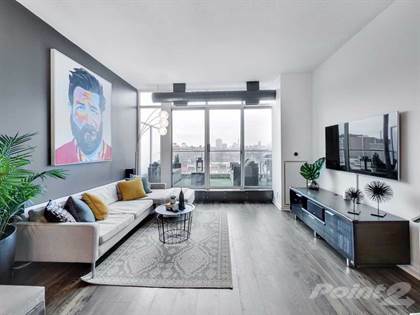 First Level: Large Kitchen With Stainless Steel Appliance And Gas Stove, Dining Area With Custom Bar And Wine Fridge, Living Room Has Floor To Ceiling Windows With Modern Flooring And A Walk Out To A Large Terrace With Expansive City Views. Powder Room For Guests. 2nd Level Has Two Large Bedrooms With Custom Closets And Office Area. 1 Parking Included. Hi, I'd like to find out more information about 388 Richmond Street. Thanks so much!